4. Scientist/Engineer ‘SC’ (Architecture) Bachelor degree in Architecture in First Class with an aggregate minimum of 65% or CGPA 6.84/10 and registration with Council of Architecture. SC / ST / Ex-Servicemen Candidate No Fee. Selection Procedure : Selection will be made based on the performance in the written test and interview. Retry during early morning or late nigh time. im in 7th semister right now…am i applicable for this isro 2017 recuitment?? Yes, You can apply for ISRO Scientist 2017 post but your degree must complete by December, 2017 maximum. You can also check it by filling application form for ISRO Scientist 2017 post there is maximum limit in month tab is December and in year tab 2017.
could you let me know if NMDC recruitment would take place this year?…please….ASAP. Recruitment for a certain year completely depends upon concern PSU. No one can answer this question but we will notify here on this blog as soon as NMDC notify any recruitment. 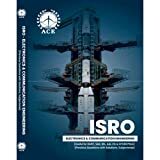 which book I have to refer for scientist/Engineer post 2016 for ISRO?? How to apply ISRO on Ordinary post ? What documents should I submit on Ordinary post while applying ? Any candidate who have 65% or above in his BE / B Tech course can apply for ISRO. ISRO doesn’t recruit on the basis of GATE score. So your GATE score will not help you in ISRO written examination. Although ISRO again shortlist candidates for written examination. is it not applicable for IT?? IT candidates are eligible for this post. I am 6 semester in Diploma Mechanical engineering right now .am I eligible to appear in the exams conducted by PSUs this year? iam bca i have eligiblity to write this exam? sir I am electronics and instrumentation engineer. Shall I apply for ISRO. Thank you very much. it is so informative and it should be appreciable that efforts are given. What is last year’s cut-off for sc category in isro written exam for ece? kindly notify me for the jobs for Automobile Engineering final yr students. I am in 7th semester right now. Am I eligible to appear in the exams conducted by PSUs this year? You are eligible for those PSUs only which allow final year candidates. So before filling any PSUs form read complete notification. If any PSU allow find year candidate you are applicable otherwise not. is ISRO allowing B.tech fianl year student ? ?